By leveraging a consultative sales strategy in conjunction with the expansion of CDI in the Southeast, Dan Ryan and the CDI SE team are working to ensure smooth transitions to the cloud for our customers. Computer Design & Integration Southeast (CDI SE) today announced the addition of Dan Ryan to the CDI SE team as vice president, Sales and Operations. In this role, Ryan will lead a team of solutions architects and account managers who will partner with customers as they transform their businesses through information technology. “Enterprises are navigating an unprecedented disruption of the traditional IT landscape. As companies transition from conventional on-premises architectures to a mix of hybrid and public cloud offerings, I am thrilled to join CDI SE,” said Ryan. “The firm has demonstrated that it is uniquely positioned to partner with customers to successfully manage this progression, due to its superior technical expertise and managed services offerings. To guide this transition and assist the marketplace to deliver on the promises of hybrid IT, CDI SE is committed to a consultative partnering approach, while offering a boutique private cloud portfolio and maintaining focus on a mature suite of IT solutions through our manufacturing partner relationships. Having an established record of success in Charlotte and the greater Southeast, I am excited to lead this next chapter at CDI SE,” he added. The CDI SE portfolio includes cloud/managed services and hybrid IT solutions, and will continue to offer expertise in automation and orchestration, software defined networking and data center, security, networking, mobility, collaboration, end-user computing, storage and assessments. “By leveraging a consultative sales strategy in conjunction with the expansion of CDI in the Southeast, Dan Ryan and the CDI SE team are working to ensure smooth transitions to the cloud for our customers, backed by our strong strategic-relationship approach with partners, as we drive success for our Southeast clients,” said Rich Falcone, vice president, Computer Design & Integration LLC. Dan Ryan has 17 years of IT experience and is a technical expert in IT solutions for corporate network security, network optimization and design architecture. 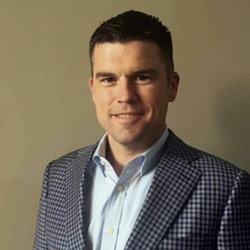 Prior to joining CDI SE, Ryan spent close to a decade at Cisco Systems in a variety of roles in both the NYC metro and Charlotte markets, and with ForeScout Technologies, a leader in IT security. Computer Design & Integration Southeast (CDI SE) provides data center infrastructure design, integration and support for businesses’ evolving needs while simplifying complex information technologies. The company offers advanced technology strategies with a particular focus on highly available data center solutions. Developed in 2010 as a joint venture with CDI LLC, CDI SE is recognized as one of the fastest growing companies in the Carolinas by Business North Carolina and ranked as the #1 fastest growing company in Charlotte by Charlotte Business Journal’s 2014 Fast 50. CDI Southeast has offices in Charlotte, NC, Columbia, SC, and Atlanta, GA. For more information visit http://www.cdillc.com or call 704-716-0010.